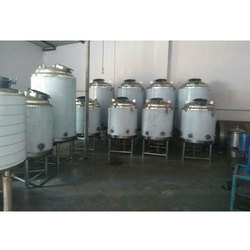 We are highly acknowledged organization engaged in presenting a remarkable range of Reactor Pressure Vessel. 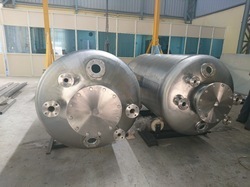 Matching up with the requirements of our clients, we are involved in offering Stainless Steel Reactor Vessel. - We fabricate and supply S.S. & C.S. Reactors, complete with Agitators, Motor, Gear-Box, Lantern and with Jacket or Limpet Coils and sometimes with internal heating / cooling coils, to various industries.